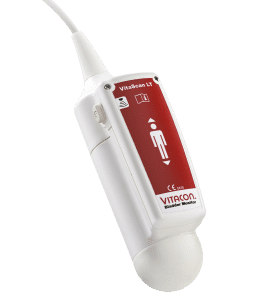 VitaScan LT bladder scanning probe is an adaptable device that can connect to any computer/tablet using 2.0 USB connection. The probe has high-quality imaging quality, and it is specialized for bladder scanning. VitaScan PD is intuitive and accurate Real-Time stand-alone bladder scanner. The device has high-quality imaging alternative to old-style “blind” scanners that merely point users in the direction of the bladder. Non-invasive bladder scanners reduces the number of urinary tract infections across the hospital, and reveals postoperative retention. The use of Bladder Scanners preserves patients’ intimate sphere. 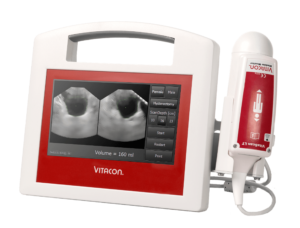 VitaScan LT also supports bladder retraining with clinical data. Avoid unnecessary catheterization, save time and reduce cost. Learn more about the benefit of using VitaScan LT bladder scanner.